University of Southampton is offering postgraduate merit scholarships for international students in the September 2017 academic session. About the Award:The University of Southampton is proud to offer the Southampton International Merit Scholarships for 2017/18 entrants. These scholarships of up to £5,000 per student seek to demonstrate the University’s ongoing commitment to attracting bright, ambitious students from all backgrounds onto our courses. The candidate is liable to pay full international tuition fees and they will be self-funding, ie they are not in receipt of a full scholarship from another source or sponsored by one of the University’s international funding partners. Candidate is in receipt of either a conditional or unconditional offer for a place at the University of Southampton for 2016 entry (September 2016).which they have accepted (not-UCAS applications) or accepted firmly (UCAS applications). The programme the candidate wishes to study is eligible. Candidate meets any nationality or domicile requirements of the scholarship. Candidate must be a national of, and domiciled in, one of the eligible countries/territories and classified as ‘Overseas’ for fees purposes. For undergraduate (Bachelor) scholarships: you must be a national of, and domiciled in a country outside of the EU and classified as ‘Overseas’ for fees purposes. For postgraduate taught (Masters) scholarships: you must be a national of, and domiciled in, one of the eligible countries/territories and classified as ‘Overseas’ for fees purposes. A scholarship will only be awarded subject to meeting all the conditions attached to candidate’s offer to study at the University of Southampton (UK campus) in September 2017.
enrol as a full-time student on candidate’s academic course by the given start date, as specified in the confirmation email/letter. provide evidence of nationality, domicile and qualification at the period of enrolment. be, and remain throughout the period of enrolment, classified as ‘Overseas’ for fee purposes. pay all outstanding tuition fees by University deadlines. Non-payment of fees by the due date may result in the scholarship being withdrawn and candidate may be charged full fees. Students who are entering the second year, or subsequent years, of an undergraduate degree or repeating a year. Students who are entering an undergraduate degree with a foundation qualification. University of Southampton undergraduate students who are progressing onto a Masters programme. Students who are studying at the University of Southampton as a period of study abroad, a student exchange or as a student visitor. Students whose tuition fees are fully funded by an external sponsor organisation. Students who are receiving partial payment of their tuition fees may be eligible. Students whose tuition fees are fully or partially funded by one of the University’s international funding partners as detailed on the International Funding Partnerships webpage. Important Notes: Southampton International Merit Scholarships will be awarded for 2017 entry only and are non-renewable after the 2017/2018 year of study. In subsequent years, full international tuition fees will be payable, fixed at the full tuition fee rate for 2017 entry. The scholarship will be applied before any other discounts e.g. alumni discount, discount for payment in full. The scholarships will normally be awarded in the first semester, but variations may apply, depending on each Faculty. 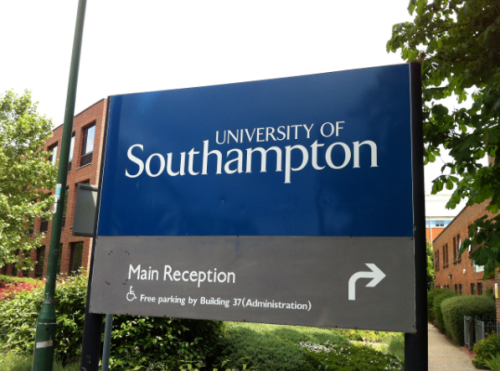 The University of Southampton scholarships are not available as a cash alternative. All the information about University of Southampton Merit Scholarship for International Students has been delivered nicely; interested and talented students who are eager to pursue their Free Tuition/Scholarships/Study in UK can apply now.